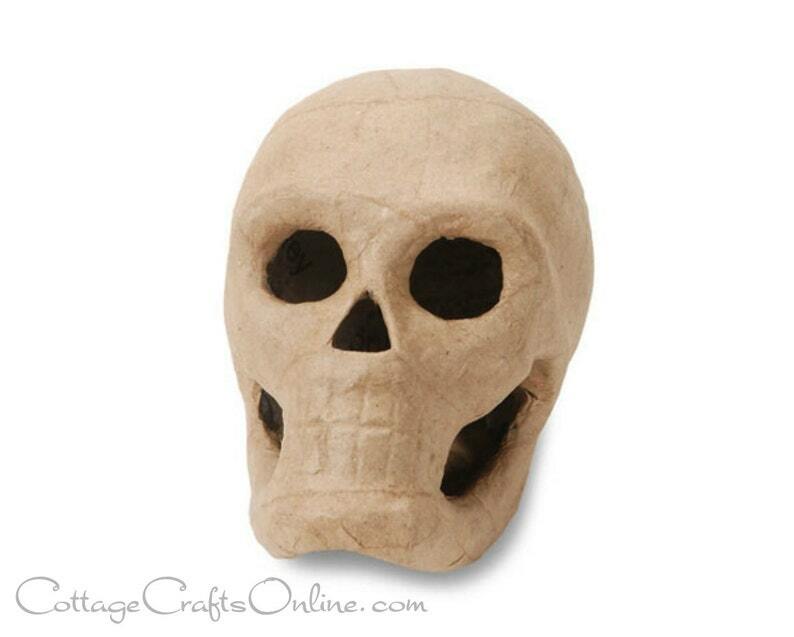 Paper mache skeleton skull, approximately 5 1/2" high, 4" wide and 4" deep by Darice Craft. Decorate in your favorite material, whether glitter, paint or decoupage. Add a custom touch to your wreath designs with your signature look. This listing is for a single skull. Cool! Came quickly and well wrapped.